Many brides today are looking for fun favors for their guests. A popular idea is to do a candy buffet. I think this can be a fun and exciting part of your wedding reception. 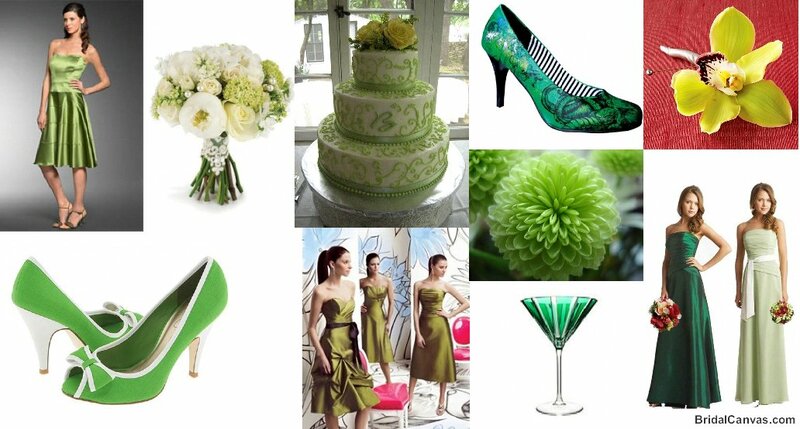 You can use the colors of your wedding to make an impact. Below are some pictures of a candy buffet I helped create. 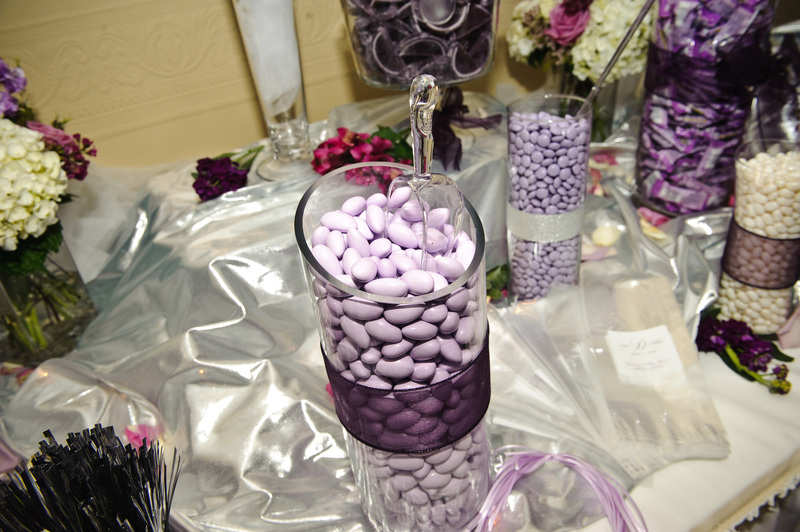 Because this has become popular, you will not have a hard time trying to find different candies in your color scheme. The items you will need are: candy (of course), different size jars (make sure the mouth is wide enough to get the candy out), scoops (let’s be sanitary), bags and ties. From the pictures above, you will see that adding some decor to the table will help bring it to life. Have fun with it, below is a picture I found for a sign idea. How much fun is that? 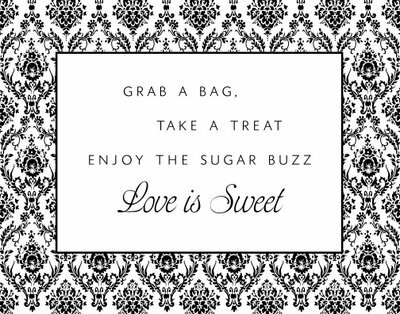 Guests will have fun making their goodie bags of all the candies they love. For us with sweet tooths, we love being able to grab some to go. Enjoy this idea for your wedding!